EDINBURG — They’ve sniped at each other from afar, blasted the airwaves with TV ads, held rallies, made phone calls and raised money. Now, for the first time, the candidates for Texas governor will face each other in person in a live, televised debate. 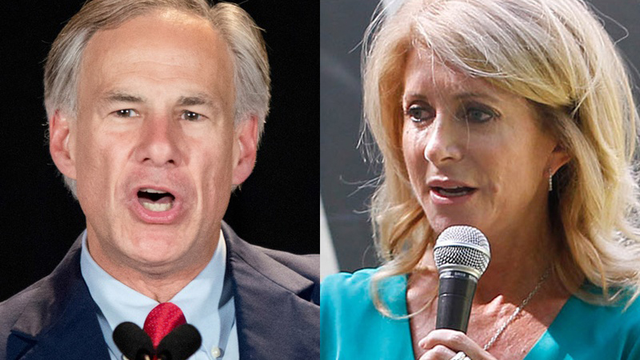 Attorney General Greg Abbott, the front-runner, has the most to lose in the high-stakes Friday night encounter. The Republican is favored to win and has been limiting his unscripted public appearances lest he blow his sizable lead. Despite his front-runner status and longevity in Texas politics, Abbott has only appeared in one formal TV debate as a statewide candidate — a 30-minute 2002 encounter with then-Democratic attorney general candidate Kirk Watson, the Abbott campaign confirmed. State Sen. Wendy Davis, D-Fort Worth, meanwhile, will be focusing on her offensive game. Trailing in both money and in opinion surveys, Davis is looking for the debate to change the dynamics of the race. The one-hour debate, hosted by The Monitor newspaper, will be held in the Rio Grande Valley at the Edinburg Conference Center at Renaissance this Friday at 6 p.m. Davis won acoin toss and elected to take the first question. Each candidate gets a minute to respond to questions, and the opponent will be offered a 45-second rebuttal. There will be ample opportunity for fireworks when the candidates are prompted to ask their opponent a question. Voters can tune in to a livestream of the debate at The Monitor newspaper’s website,themonitor.com. TV stations owned by Sinclair Broadcast Group, including KEYE in Austin and WOAI in San Antonio, will also air the debate live, organizers said. C-SPAN will re-broadcast the debate at 9 p.m. Central Standard Time on Friday, the network said. The Monitor is sponsoring the one-hour debate along with KGBT Action 4 News, the local CBS affiliate, and KTLM Channel 40, the Spanish-language Telemundo TV station. The candidates will be grilled by Action’s 4’s Ryan Wolf, KTLM’s Dalila Garza and The Monitor’s Carlos Sanchez. It's believed to be the first televised gubernatorial debate ever held in the Rio Grande Valley, said Sanchez, the paper’s editor. He said the venue speaks volumes about the importance both candidates are putting on the region and the growing Hispanic vote. “I think both campaigns recognize the Rio Grande Valley embodies the future — both in the economic and demographic makeup of Texas,” he said. The candidates will hold a second and final one-hour debate in Dallas on Sept. 30.